The Piusi K44 mechanical fuel flow meter counts the quantity of used diesel fuel or oil through a nutating disk system, which is then clearly displayed to the user on its mechanical face. 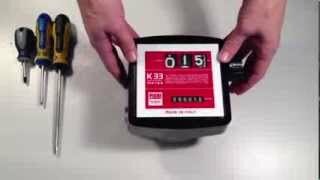 The K44 is almost identical to the K33 fuel counter meter but is able to measure up to 9999.9 litres, making it designed for installations when a larger quantity of fuel may be dispensed. Made by Italian manufacturer Piusi, the K44 oil and diesel flow meters are reliable, simple to fit and calibrate options, whilst still being cost effective due to its mechanical rather than digital design. Benefitting from a low minimum flow rate, the K44 diesel fuel flow meters are compatible with gravity fed systems as well as pumping systems. 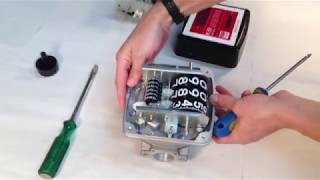 The meter body can also be rotated to allow the flow from four directions, which makes this fuel counter meter a flexible solution for a range of installations.